American vocalist and composer Laura Camara (formerly Laura Brunner), hails from Columbus, Ohio, United States. Musically trained as a multi-instrumentalist Laura perhaps most known for her powerful voice, musical versatility, and innovative improvisation and vocal sounds. 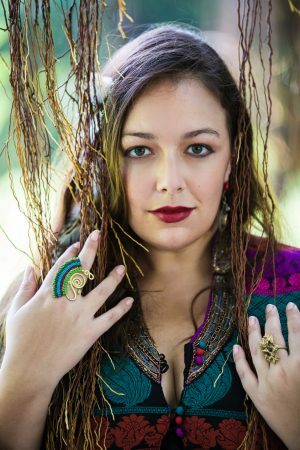 Laura is an award winning jazz vocalist and has performed at top venues and festivals around the world such as The Montreux Jazz Festival, The Boston Pops Jazz Festival, and the Betty Carter Jazz Ahead Program at the John F. Kennedy National Center for the Performing Arts. Laura has also headlined The Ubud Village Jazz Festival in Bali, Indonesia and performed for the Thai Royal Family in the Jazz For The King Concert in honor of the King of Thailand’s birthday. In addition to live performances Laura has been a featured profiled artist on WGBH Boston’s National Public Radio and famed New York City Web Series Capsulocity.